Just over a month since we brought you a cool clip of the ‘Queen of the Ring’ Sabine Schmitz racing Ron Simons in a Porsche 911 GT3 RS against his Ferrari 458 Italia, the duo have joined forces yet again, this time tackling the infamous Spa-Francorchamps circuit in two very fast BAC Monos. 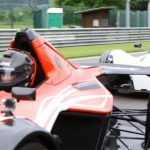 The following clip includes some entertaining banter between the pair as well as an awesome side-by-side comparison showing a lap performed by each driver. 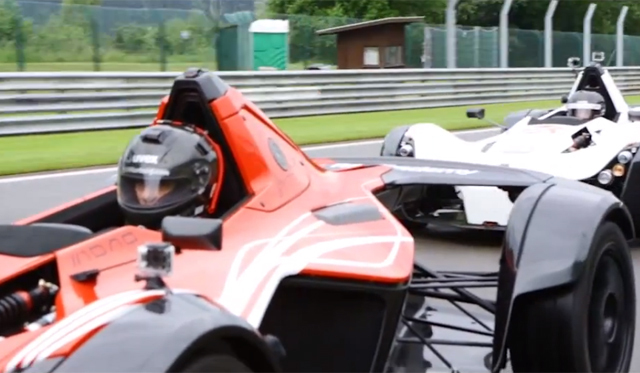 Making this clip all the more exciting is that in the end, the two drivers are separated by just over 2 seconds around the near 3-minute circuit! 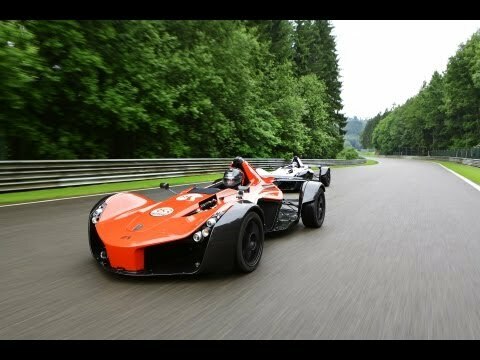 The BAC Mono (as in monoposto, or single seat) was designed to bring formula race car levels of handling, performance and thrill to the public road, but it’s also the perfect trackday toy. At 520bhp/ton, its power to weight ratio surpasses that of the Bugatti Veyron and it can accelerate to 60mph in just 2.8 seconds, 100mph in 6.7 seconds and on to a top speed of 170mph. Power comes from a 280bhp, normally-aspirated 2.3 liter Cosworth unit mounted longitudinally and mated to an electronically-controlled, paddle-shift, six-speed sequential Hewland transmission with limited-slip differential. The rose-jointed, aero profiled pushrod suspension features adjustable Sachs Racing dampers derived from the heat of competition. Read more about this exciting sports car from our adventures with it in Monaco!